After a pretty long hiatus from blog posts, I’m back! When I first started this blog I posted every day, then gradually started tapering off. I was busy launching Pantofola, my brand of dog accessories that are made in Italy, but in the back of my mind I kept thinking that I really need to resume my blog posts. There were some blogs I followed and when those posts started dwindling I always felt sad, and wondered what happened?! So if anyone has wondered that about me and/or felt sad, I promise to get back to some regular posting. A few weeks ago I spent a week in Italy meeting with my factory for some new items and collections, and also to attend the semi-annual mega leather fair in Milan. I always try and attend the fair because it’s easier than traveling all over to visit tanneries and other suppliers. Anyway, the first part of my trip was getting over jet lag and becoming reacquainted with life in Italy. It seems I’ve made the city of Varese my home away from home, and since I prefer smaller cities it’s become quite comfy. My first post about Varese can be found here. …and wouldn’t it be so easy just to quickly help yourself to some wild boar sausage or a slice of prosciutto on a Saturday afternoon? Why not? It’s la dolce vita after all. Not a bad way to spend the first few days in Italy, enjoying a weekend in a lovely city and strolling along with the locals. I’m sure that I blended right in, apart from that pesky iPhone camera. This post is about a lovely 25-acre agriturismo in Italy called Il Cucciolo, which translates to “The Puppy”, but first I have to own up to the path that brought this place to my attention: the credit goes to my cat Ponyo. Yes, I said it, a cat. In the way that cats climb on bookshelves (and everything else), Ponyo knocked a book down that I had forgotten about. Crafty girl, it was a good suggestion. And that’s where I’ll begin. I bought Philosophy Dog, The Art of Living with Man’s Best Friend by Breon O’Farrell many years ago in San Francisco at the now defunct Stacey’s Books on Market Street. It caught my eye because it’s beautiful and the topic is dogs. It’s loaded with great photography and typography, oh and it’s about dog training but clearly that facet was lost on me and mine. Maybe Ponyo was giving us a suggestion. 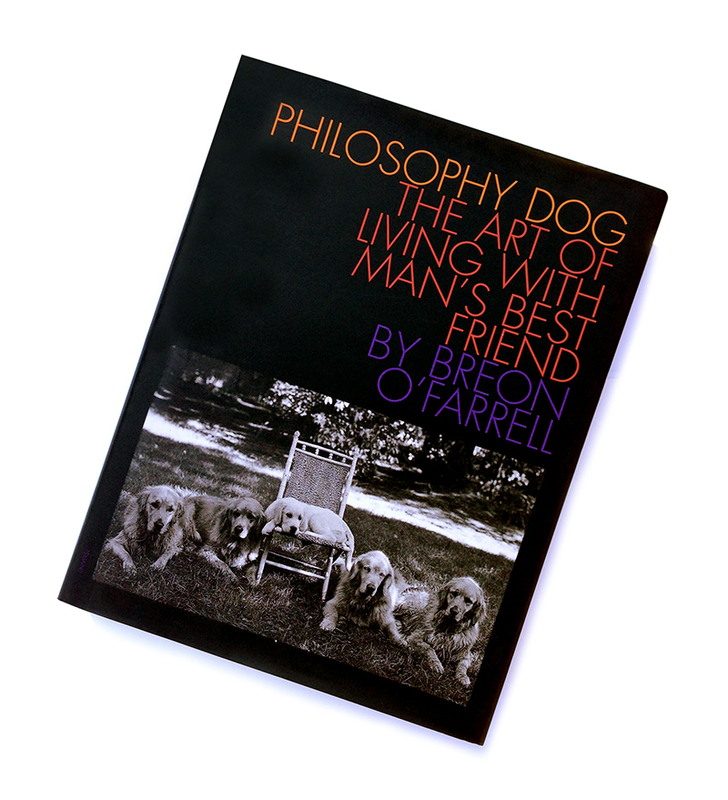 While becoming reacquainted with this book, I discovered that Breon O’Farrell had been a successful dog trainer in New York with talented dog-loving clients and friends like photographer Bruce Weber (which comes in handy when you’re putting a book together). 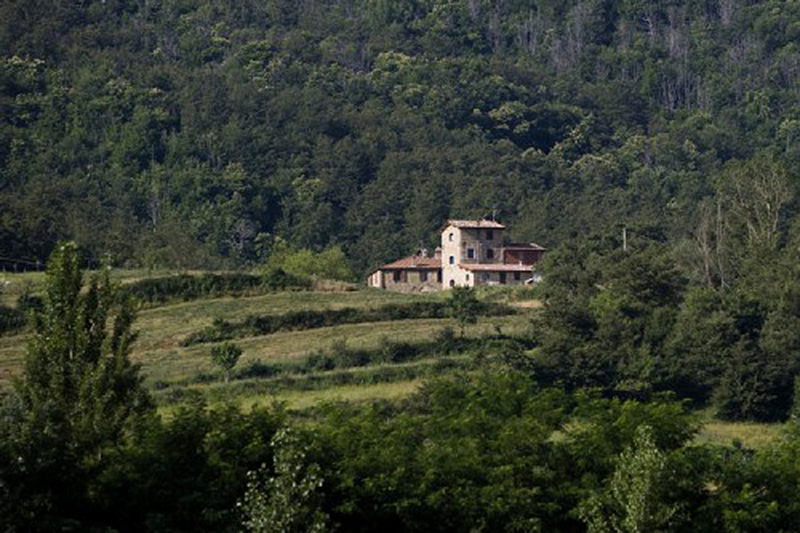 Then I found that Mr. O’Farrell along with his Italian-born wife and kids now operates a great little gem of an agriturismo in the heart of Perugia called Il Cucciolo. 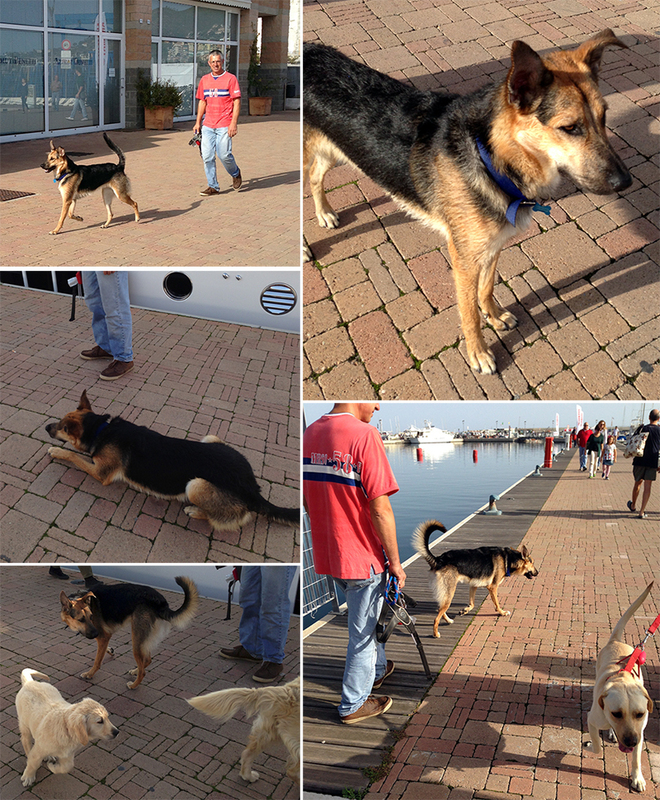 You can take your dogs on holiday there for fun and training, with classes taught by Breon O’Farrell himself. I haven’t visited Il Cucciolo yet, but I sure plan to get there one day. I’m smitten by the whole idea of this place. Most of my trips to Italy (okay, pretty much all of them) are for business and I’m primarily up in the north, but I would love to venture down to Il Cucciolo, and why not? 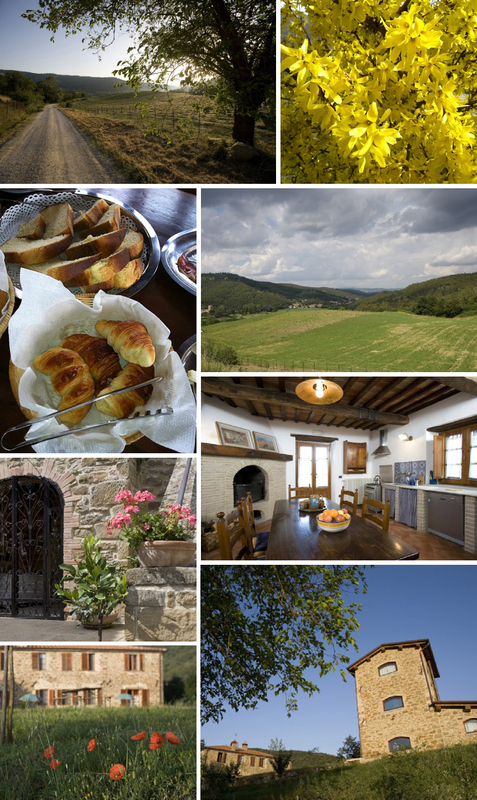 Cooking classes, mushroom and truffle hunting, yoga, hikes in the hills, hanging out with dogs! I’m there. Beautiful. I think Mr. O’Farrell had the right idea to leave the crowded city for a gorgeous place like this. I’m willing to bet there are quite a few people daydreaming of a life like this right about now. If that’s true and this post inspires someone somewhere to make a big life change, it can all be traced back to Ponyo’s bookshelf climb that day. Crafty girl. If you’d like to contact Il Cucciolo, you can visit their website here. You can also check out their Facebook page with more photos and info here. There’s a new museum in Italy that I would love to visit someday, and it’s called foof (and when I do I’ll have to ask them what “foof” means exactly, but it does sound doglike). Located about 45km north of Naples in the Campania region in a coastal town called Mondragone, this is Italy’s first museum dedicated to dogs and it looks like a really wonderful concept. Of course it’s beautiful, because, well, it’s Italian. Their focus is to explore the history and intersections between man and dog in the areas of work, play, companionship, technology, art and popular culture. You’ll see everything from a 35 million-year-old fossil of a dog from America to original works of art by Botero and Jeff Koons. They also have adoptable dogs there that visitors can meet and get to know in the play areas outside to make that perfect match. But the one thing that I love most of all is their dedication to educating kids and adults, because it’s only through education that the problems of pet overpopulation, animal abuse and abandonment will improve and become a thing of the past. 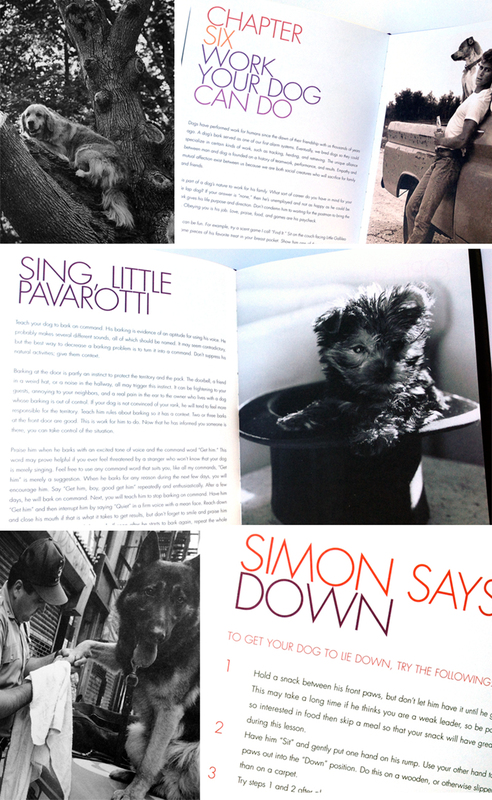 For me, foof combines my favorite things under the sun: dogs, design, Italy and good deeds. 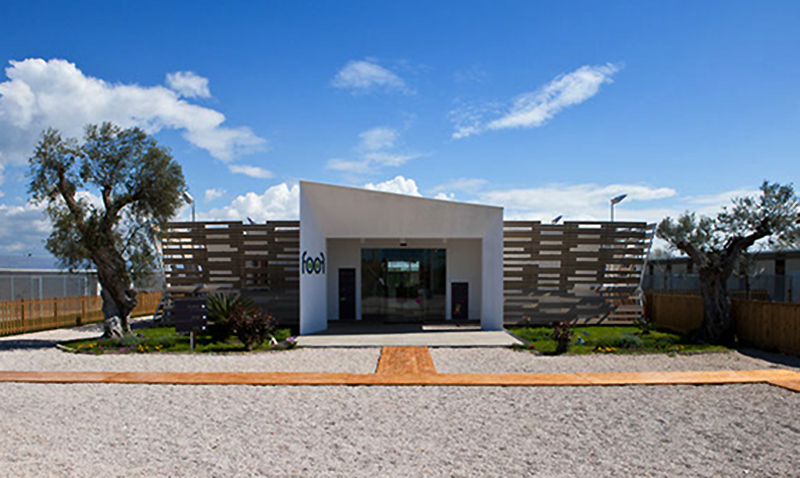 If you would like to visit foof in Mondragone, you can get the details from their website here. Foof! Foof! All photos property of foof. Note: originally I posted this yesterday after I read that Ciccio had passed, but when I returned to Facebook I saw that it was denied again (there has been a lot of arguing over his custody as the story of Ciccio has swept across Italy, creating a tense situation of the strays in Brindisi). Sadly, now it is confirmed so I’m re-posting the story. The report I read is that he died peacefully due to cardiac arrest. With a heavy heart, I have to share the sad news that Ciccio passed away today. 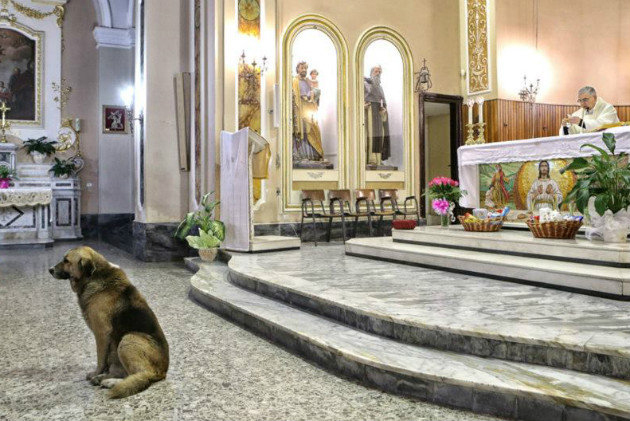 If you read my earlier post a few weeks ago, you’ll remember he’s the dog in Italy who captivated the public by showing up at the church for Mass every day since his owner Maria Lochi passed last November. I am not sure of the exact cause of death, but recent posts on his Facebook page have discussed his deteriorating health with photos of him at the hospital. Given his age of 13, plus the fact that he was so broken hearted over the loss of Maria, they suspect he just wanted to go. I added the top photo because it shows Ciccio when he was happy, you can see the sparkle in his eyes. 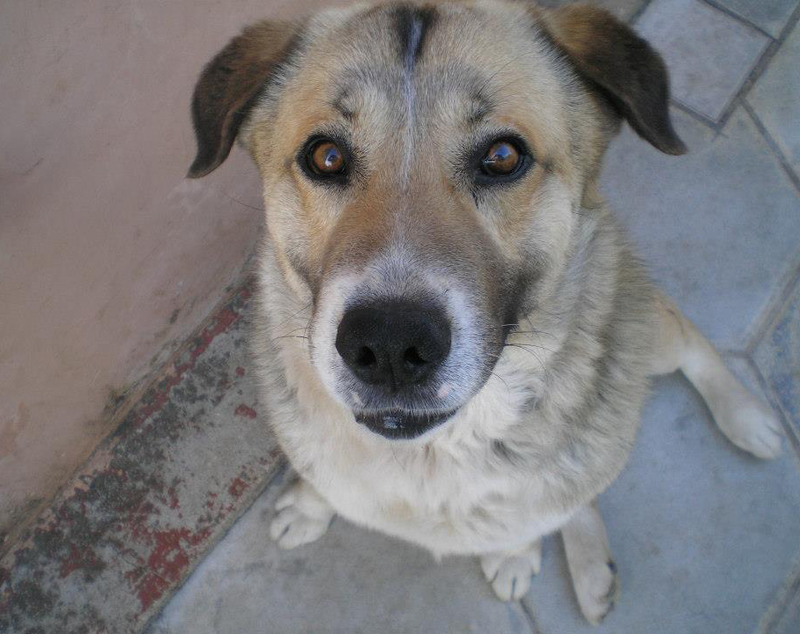 This photo was taken when he was younger, and his owner Maria Lochi was alive. Compare it to this one that was taken after she passed away, and you can see his sadness. Typographic Tuesday: Martin Luther King, Jr.
Today’s quote for Typographic Tuesday is by Martin Luther King Jr., in honor of his recent birthday plus all the warm, hopeful feelings here in America that are in the air with an inauguration and a new year for setting things right. I’m including this photo because I think it’s one of the most tender images I’ve seen in a while. Here’s the background: a few months ago I did a post on Sara Turetta and the group she started called Save the Dogs. 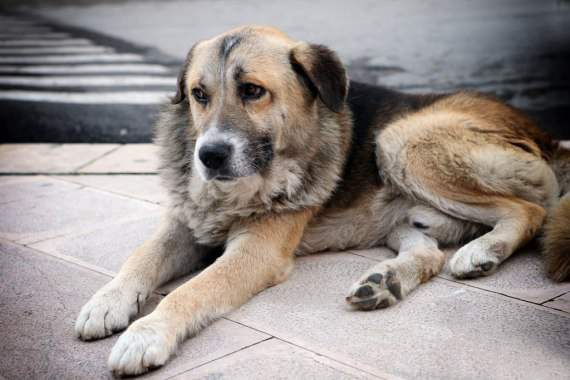 One group that really helps Save the Dogs is the Swedish-based Hundhjälpen. Not only do these guys send pallets loaded with all kinds of dog food, treats, toys, medicines, etc. they also take regular trips to Romania and volunteer however they can. In the end, they transport a lot of these dogs back to Sweden and find them warm, loving homes. This photo is from their trip just a few days ago, and the kindness of this simple gesture melts my heart. 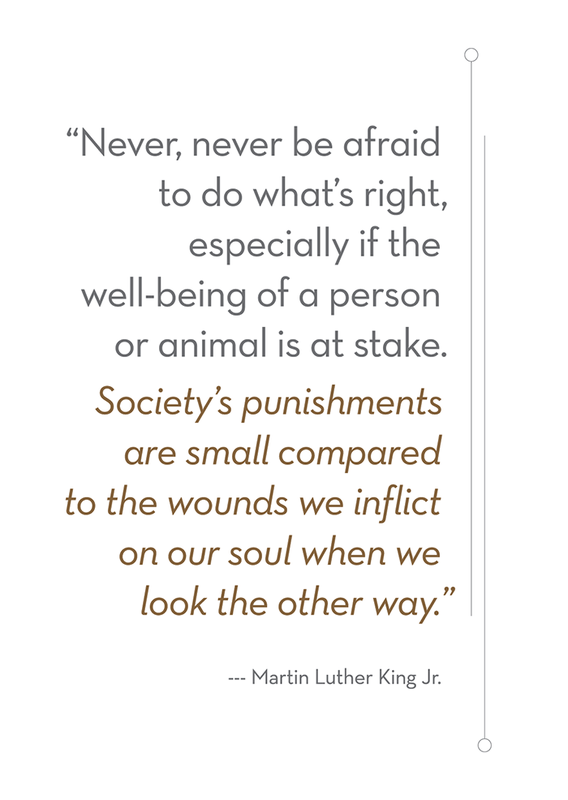 Thank you, Hundhjälpen and Save the Dogs for never looking the other way. To find out more about Hundhjälpen or donate, go here. To see all of the photos from their trip, visit their Facebook page here. And of course, Save the Dogs’ website is here. Maria Margherita Lochi was known in her town of San Donaci, Italy for her kindness in looking after and adopting stray dogs and cats. One of her adopted dogs, a 12-year-old German Shepherd mix named Ciccio, was found in a soccer field near her home and is now carrying on his own vigil for Maria since she passed away two months ago. Is Ciccio Italy’s own Hachikō? Ciccio used to attend Mass services with Maria for years on a regular basis at the church of Santa Maria Assunta, and according to the parish priest he has always been welcome in the church and would sit quietly at Maria’s feet. On the day of her funeral, Ciccio followed her casket into the church and each day since when the bell rings to begin Mass he arrives and sits at the altar. People in the village are providing food and water for Ciccio, and for now he sleeps in a covered area near the church. The priest is hoping to find a home for him soon…but I’m hoping he adopts him and allows Ciccio to remain a parishioner at the church of Santa Maria Assunta. In any case, thanks to massive publicity and a Facebook fan page created by Maria’s son, it appears that there have been many offers across Italy to give Ciccio a warm, safe home very soon. Also: Ciccio seems to have another name, which is “Tommy”, and news reports use both. Details from the Daily Mail, and Sud Italia News. Photos from Ciccio’s Facebook fan page. UPDATE February 11, 2013: I follow the story of Ciccio, or Tommy, on Facebook and it appears that Maria’s son Sebastian now has custody of him. 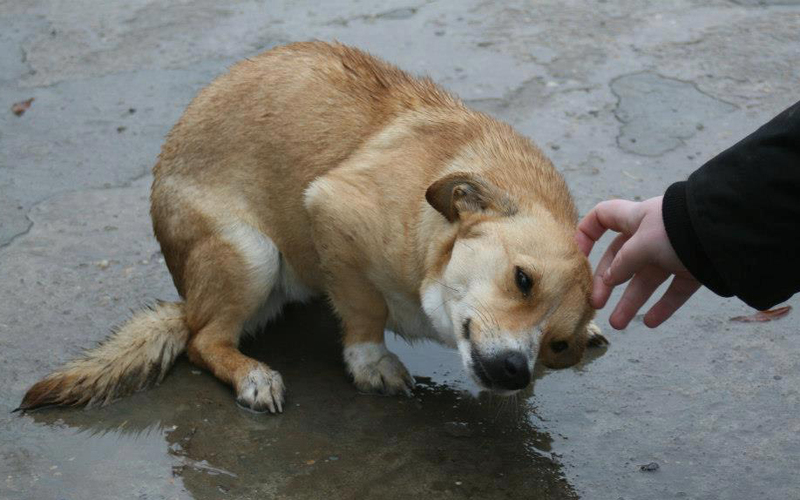 Sadly, Tommy is very ill right now at a vet clinic and it is feared that he may not survive. I’m not sure what the cause is, but they are saying that because he is now around 13 years old combined with the heartbreak of losing Maria, the sadness has taken its toll. I will post an update here if I get any further news. 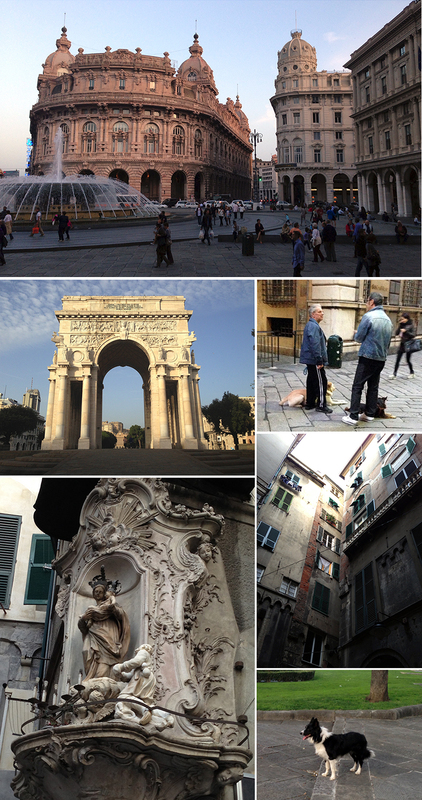 One Sunday in Italy a few weeks ago, a local friend offered to give me a quick tour of Varazze and Genoa. The weather for some of my trip had been drizzly, cloudy and very much like you’d expect to find in the north of Italy in October, but somehow over the weekend the temperatures warmed up to about 85 degrees and that was perfect for visiting two Mediterranean spots. I peeled off my sweater! I took off my socks! It was a wonderful break. 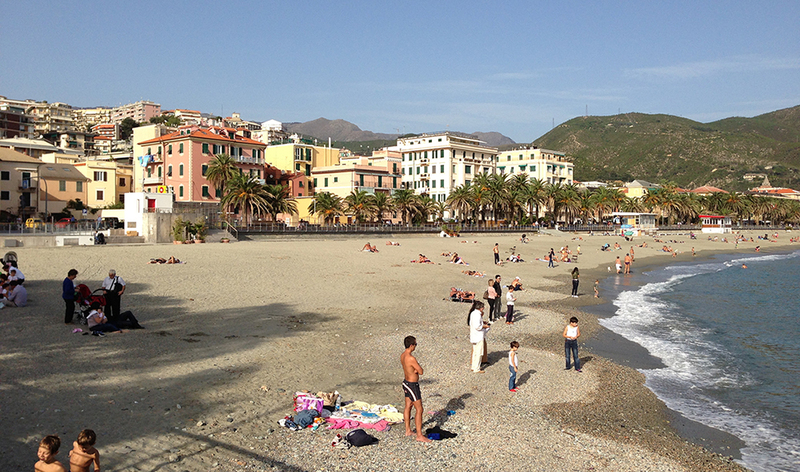 First we went to Varazze, a small city along the coast west of Genoa. People were on the beach in their swimsuits, kids playing, people strolling. There were kids doing their sailing classes, proud parents waiting on the pier. It felt like summer! Eventually I had to stop for the obligatory gelato. A very nice town. This gorgeous full-of-life boy is Athos, and I just love his stride. You can see that he enjoys cruising along like he owns the harbor (maybe he does?) and occasionally stirring things up with the other dogs he meets. Genoa was a much larger city than I’d expected. It was also very interesting, with some of the most beautiful buildings and narrow streets I’d ever seen. My tour guide/friend pointed out lots of interesting places and offered some historical background and facts (for example, the streets are narrow to cut down on strong winds). When we arrived, he pointed out one area in particular near the waterfront saying “you probably wouldn’t want to walk around in there alone at night.” Okay. So as the sun began to set, the reason became obvious: the prostitutes started coming out and doing their thing. What’s surprising about that, at least to me, is that it was still relatively early evening, around 6pm. People were still out with their kids! I think even my friend was a little shocked. So I have to admit, somewhere along the line (design school? some movie?) I’d heard something less than nice about Genoa. I can’t remember what it was exactly, but I think it was described as nothing more than a grubby port city. 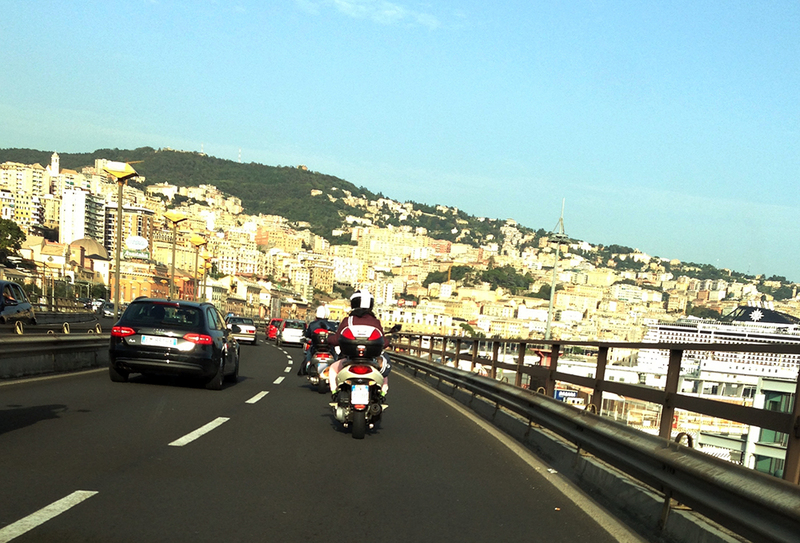 I didn’t find that to be the case at all, nothing shabby about Genoa. In fact, the whole seafarer/exploration aspect was evident everywhere and I could feel its adventurous maritime past wafting in the air. After this quick day trip, I’m looking forward to spending more time in Genoa myself, and I’d highly recommend it to you also! 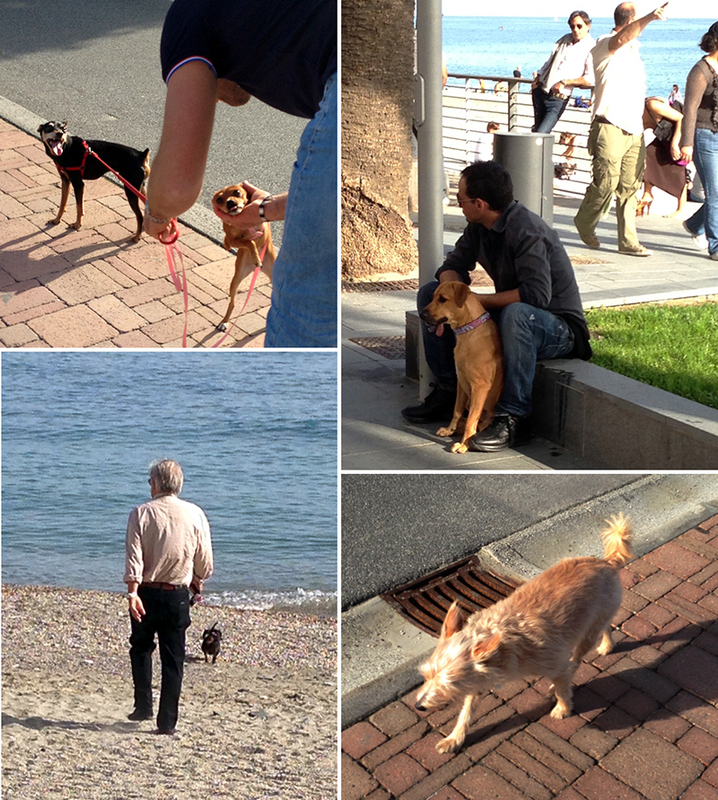 And yes, there were lots of dogs (and pesto & focaccia)!